Classes Shluchim/Instructors Recorded Classes Articles Lectures New Lecture Series Online Study Calendar Ad Form Gimmel Tammuz 2018! High Holidays 5779 Photo Gallery Past Holiday Celebrations Chanukah 2014 BHJA Ribbon cutting Tea, Coffee, & Kabbalah Passover 2019 with Chabad Tu B'shvat Event Chanukah Cocktails and Comedy 2018! 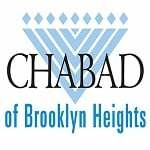 Chanukah Events 2018! Gran Purim Ball 2019! Grand Purim Feast! Kluger Klub Seniors 2012 2014 The Big Smoke 2017 Menorah Lighting 2017! Tu B'shvat Event Superheros Purim Party 2018! Lag Baomer 2018! CBA Dinner 2018! Challah Bake 2018! **If you prefer to download a pdf version of the form and mail it in please click here to download the form. What date would you like your child to begin? May we have permission to contact them? I give my child, , permission to participate in supervised curricularand extracurricular activities that may include leaving the school building and traveling by public or private transportation. It is our belief that a child’s learning experience is enhanced when his/her parents are actively involved in sharing the experience. Furthermore, parental involvement in the preschool’s organization and activities helps the preschool to function at its highest level. We, therefore, encourage all parents to find ways of participating in their child’s Jewish education and offer the following opportunities for your consideration. Yes No If yes, which parent? Yes No If yes, which parent? If yes, what is your level in Hebrew? Yes No If yes, what specifically? and which parent? NOTE: If for any reason you must pull out of our program, you will lose the deposit and an additional two months of tuition. I am interested in becoming a family member of Congregation Bnai Avraham, "the fastest growing community in downtown Brooklyn," and receive 3% off tuition? Please return this form with a copy of your child’s birth certificate, and a $200 registration fee. Make check payable to Kiddie Korner Preschool or you may pay online by completing the following and clicking on the submit button at the bottom of the page. **Kiddie Korner’s website provides an area for parents to view pictures of their children’s activities. However, this area of the site can only be accessed by parents. Therefore, we have set up a log-in system in order to access the site.To obtain the username and password, please contact the Director at director@kiddiekorner.org. Kiddie Korner Day Camp 2019 Registration Now Open! Brooklyn Heights Jewish Academy registration for 2019 is now open!! We are now accepting applications for Kindergarten and First Grade.